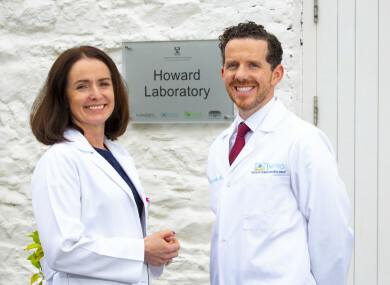 A WATERFORD-BASED research team has said it has identified a unique combination of nutrients that slow the progress of Alzheimer’s disease. After an 18-month study examining the effects of nutritional compounds found in foods such as trout, broccoli and peppers on people with Alzheimer’s the team from the Nutrition Research Centre Ireland (NRCI) came out with a “statistically significant” finding. The study involved people with a mild to advanced stage of the disease, and initially set out to examine their response to two different combos of nutritional supplements. The first combo used three supplements called macular carotenoids, while the second used these same supplements plus a specially designed fish oil. These nutrients have been found to improve vision, but their high concentration in the healthy human brain suggests a role in our cognitive functions, according to NRCI founder and study leader Professor John Nolan. Over the course of their research, it was found that the ones who were on the supplement with the fish oil maintained cognitive abilities and quality of life far more than those taking the first combo of supplements. Trial participants were “overwhelmingly” identified to have positive outcomes, including functional benefits in memory, sight and mood, according to carer reports, the researchers said. Those behind the study are calling the findings of the study “groundbreaking” and a “breakthrough”. He said that a supplement that is known to be “safe, inexpensive and effective” could be potentially life-changing for those with the disease. However, Dr Howard also acknowledged the small-scale of the current study and said that larger studies would now be needed. On this particular successful trial, there were 25 patients and 15 controls used. The next trial will see 120 patients with mild to moderate Alzheimer’s given the nutritional formula. Email “Scientists in Waterford find nutritional supplement combo that slows down Alzheimer's disease”. Feedback on “Scientists in Waterford find nutritional supplement combo that slows down Alzheimer's disease”.